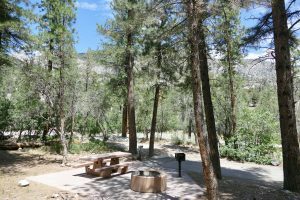 Picnics and Camping For campsite or large group picnic area information or reservations, find the site you would like and click the direct link for more information. If you choose to picnic outside of the developed areas make sure you are not on private property. Leave no trash or food behind. 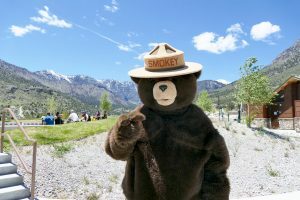 Campfires Allowed in Developed Campgrounds Fires must be in a campground fire ring. Please check the Conditions and Closures page for current status and further regulations. 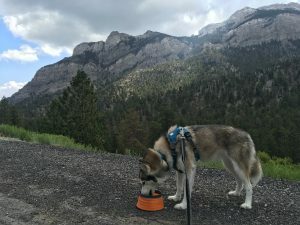 Pets–Keep them on a leash Pets are required to be on a leash in Clark County. 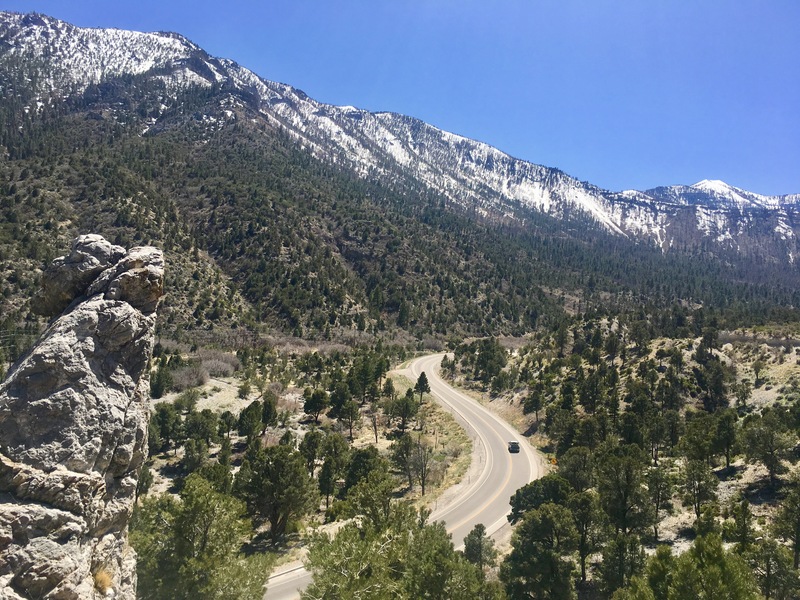 This includes trails, campgrounds, picnic areas, and the back country. Leashes help your pets avoid contact with other animals (tame and wild) and hikers. And of course, please clean up after your pets. Be Courteous Please be considerate of fellow visitors so that everyone has a great experience. 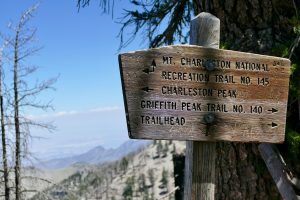 While hiking, you may see horseback riders and mountain bikers. Motorized vehicles are prohibited on some trails, please check the trail page for details. Cell phones - Limited Reception Much of Lee Canyon has no reception. Reception in Kyle Canyon is limited. 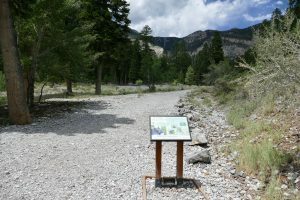 Drinking Water Limited Availability The Spring Mountains Visitor Gateway, some developed campgrounds, and some picnic areas have drinking water from Memorial Day to Labor Day. Don't drink untreated water from streams or springs. 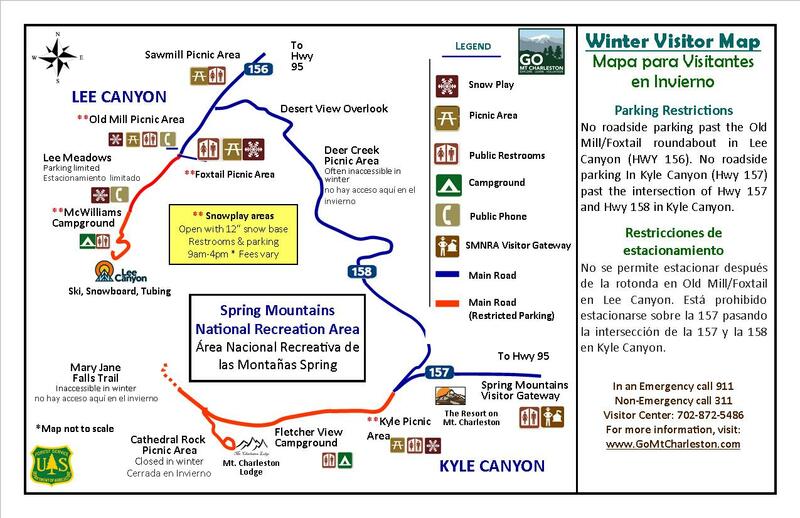 Trash–Find a Dumpster or Take it Home Dumpsters are located only at the Spring mountains Visitor Gateway and developed camping and picnic areas. If you can’t get to a dumpster, please take trash back home. Toilets Toilets are available at the Spring Mountains Visitor Gateway and developed camping and picnic areas. If you are unable to find a toilet, dig a hole at least 6 inches deep to bury toilet paper and human waste. Cover and disguise the hole when finished. Dehydration and Heat Stress Drink plenty of water, wear sunscreen and a hat. Hypothermia–Take a Jacket Hypothermia is possible even in midsummer at cooler high elevations. Bring extra clothes to stay warm and dry. Be Aware of Wilderness Areas Watch for wilderness boundary signs so you’ll know when you’ve entered the wilderness area. 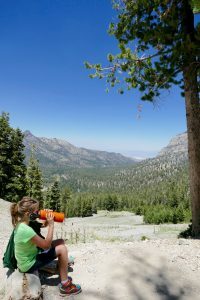 Motorized vehicle use, bicycles, mechanized equipment, and geocaching are not allowed in the wilderness areas. Don’t Erase the Traces of America’s Past Archaeological and historic sites hold clues to America’s past. If disturbed, a part of our heritage may be lost forever. Historic sites and artifacts on federal lands are protected by federal law. If you discover such remains, please leave them undisturbed.